Want to see all the technologies used by paperbackswap.com? 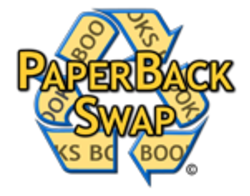 PaperbackSwap.com is an online book swap that allows readers to trade books for free. We help avid readers swap, trade and exchange books for free. Our members list books they want to swap with other club members. Once a book is requested, they mail it to the requesting club members. In return, they get to choose from over 4 million available books! We're NOT just Paperback Books! Enjoy trading Hardbacks, Audio Books, Textbooks and more. We also have two sister websites, SwapaCD.com and SwapaDVD.com which work the same way except with audio CDs, DVDs and BluRay discs instead of books. For a quick look at additional technographic info on paperbackswap.com or any domain on the web, download our Chrome Extension. Check out our help article to see how Datanyze Insider can help you.